Stitch this free baby blanket pattern for your favorite little one. 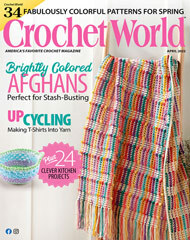 This tiny, pictorial afghan is worked using sport-weight yarn. Baby will love the soft blanket. Mom will love the sentiment!